College is where the majority of attendees do the most reading of their lives. Indeed, surveys consistently record that at least a third of college grads never read another book after graduation. One must assume that these are the people who become politicians. 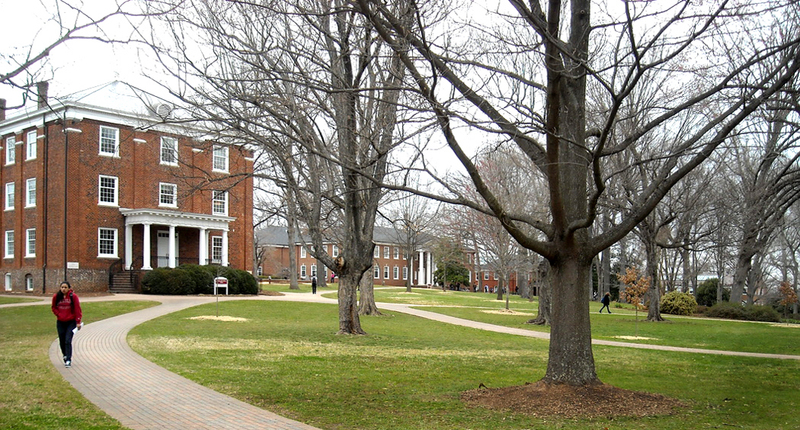 For the rest of us, college is where we encounter the first books that we recognize as opening the doors of our minds and either forming the adults we become, or providing reinforcing arguments for the personalities we have already developed: Really, both. Coursework reading is where we first discover that other people have had the same thoughts we have had, and what is more, have been entirely more articulate about those thoughts. And those writers have considered issues that had never, as yet, occurred to us. It is a four-year span in which we are, for the second time in our lives, slapped awake. I really wanted to get away and enter what I imagined to be the real “adult” world of intellectual pursuit. However, when I got there, I proceeded to waste most of my time and my parents’ money. I was a terrible student. Oh, I worked hard and made excellent grades in those courses that interested me, but in courses that didn’t interest me, or in which I felt contempt for the professor (being the know-it-all that we all are as adolescents), I hardly attended class and instead slept late, drank beer, or spent time in the company of the serial list of women who let me into the mysteries for which I was such an eager sleuth. There were, nevertheless, a few things from early-morning classrooms that have stuck with me. I want to mention four of them. 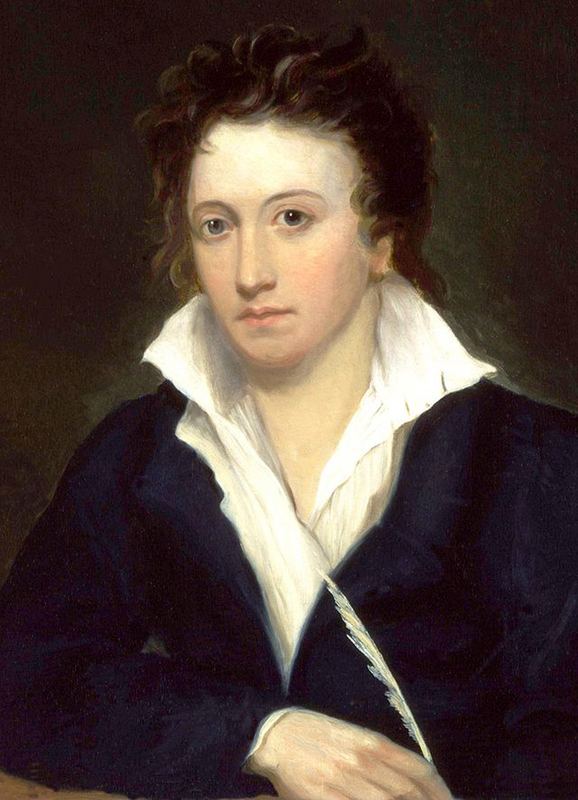 The first, and probably most indelible, is Percy Bysshe Shelley’s Defence of Poetry. There are many for whom art, whether poetry or TV sitcom is essentially a branch of entertainment. These people includes highbrows as well as low. But there are some — and I am unfortunately one — who see a more serious purpose for art. It is probably just a genetic relic of the Norwegian Lutheranism I was born into, but boy, did I ever suffer from it. This is a position that it is difficult to maintain in part because of the solemn piety of its adherents: easy to make fun of. And the grand claims made by Victorian do-gooders and Modernist manifestos are often preposterous, even laughable, and further undermine any effort to find a moral purpose to scribbling on paper, whether with pen or brush. Too often, moral purpose in the arts has led to boring, didactic works, espousing this partisan view or that, whether Christian or Marxist — or in the case of that great fashioner of doorstops, Ayn Rand, unreadable tracts. But Shelley makes clear in his argument that it is not the modeling of behavior that makes art moral, but the very act of imagination: The ability to conceive of thoughts, emotions, pains and motives not our own. Imagination fuels empathy. At the heart of great art is compassion. Not as a subject matter — that is left to the preacher’s sermons — but through opening each of us up to the multifariousness of experience and the variety of responses to experience. A great work of art must make us understand even that which we abhor. Humbert Humbert, for instance. The class where I read the Defence was one in English Romantic Poetry, and it left me with a trove of things I return to over and over, from Wordsworth’s Intimations Ode (which I re-read at least once a month), to William Blake’s Marriage of Heaven and Hell, to the psychedelic fourth act of Shelley’s Prometheus Unbound, which is my substitute for bong and hash: “With a mighty whirl the multitudinous orb/ Grinds the bright brook into an azure mist /Of elemental subtlety, like light.” Flashing, man. 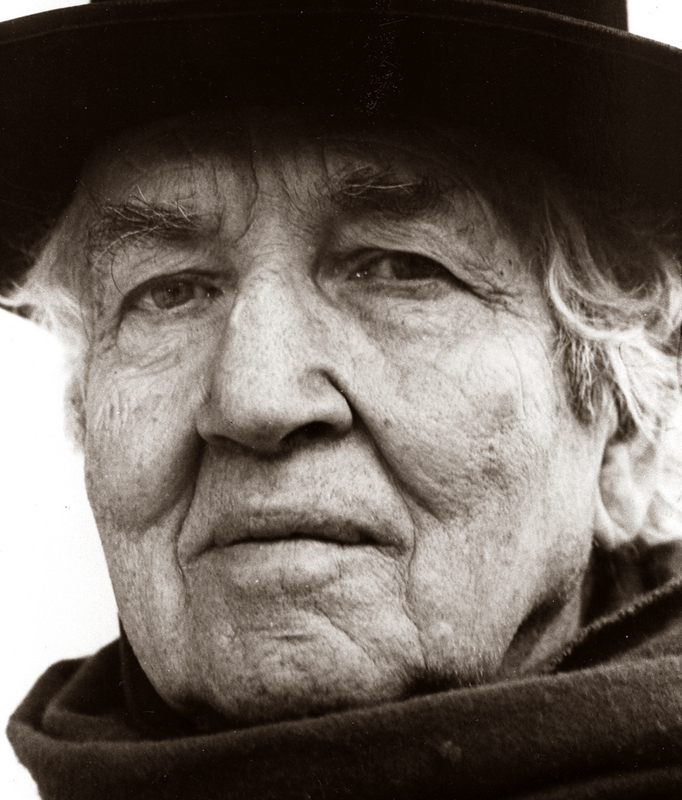 The second lingering from class is Robert Graves’ Greek Myths. 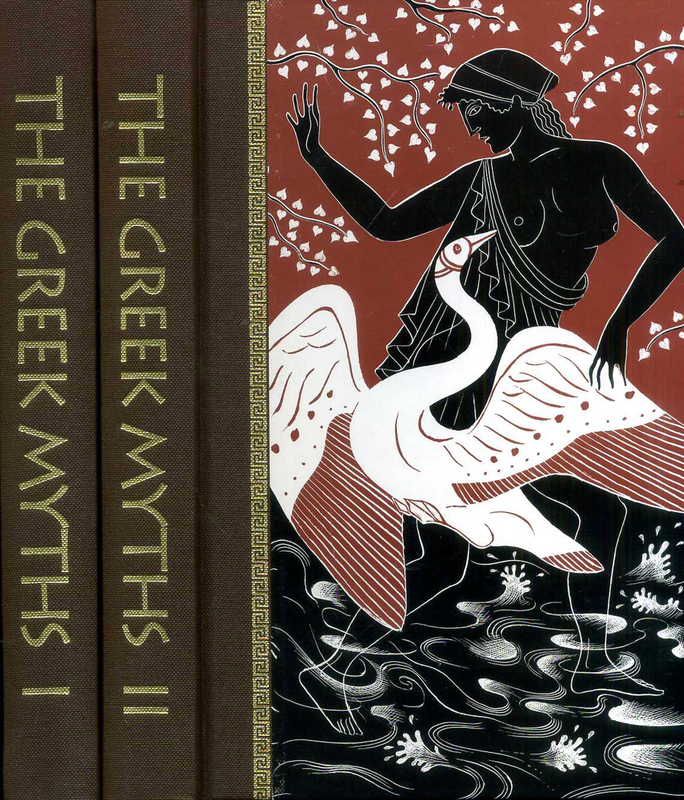 I took several courses in classical literature, including a blunted attempt to learn the language of the ancient Greeks. En arche hen ho logos. I foundered on the aorist voice, among other things, including my growing dislike of the word-games and fascistic tendencies of Plato, whose Euthyphro I was tasked to translate. But, I came to love the classics. They have enriched my life from then to now (more about them in a later blog entry). But Graves gave me a deeper and richer appreciation of mythology, and upset any naive notion I had that it was all a coherent, organized system of gods and goddesses (as it was made to appear in Edith Hamilton or Hawthorne’s Wonder Book), but rather a welter of conflicting local stories, changing over time and mixed into a stew that no one ever held onto in a single grip. Again: multifarious and complex. One of the underlying messages of any important reading: Everything you know is wrong. Or at least, no single idea or ideology can adequately describe the world. It is always more complex than that, and we should beware of anyone who tells us they have the answer. It is true that Graves had his hobby horse and you can’t take everything he avers as solid truth. But the underlying mash of malt and hops captures the brew pretty well. Third, there was E.M.W. Tillyard’s The Elizabethan World Picture, which I read for a Shakespeare course. Tillyard covers several aspects of that world view, but most essentially, the idea of hierarchy, the sense that God created a world in which everything exists on a rung of a ladder of which there is always something above and something below. Thus, lions are the “king of beasts,” the way gold is the most noble of metals and the oak is the top tree. Further, that trees as a whole top minerals, and animals top trees, and man is atop all this, yet under angels, which in turn, are under God, who is the end of the line, very like Canarsie. It can get quite silly and convoluted: arguing whether a siamang or white-handed gibbon is higher on the chain, or whether a peach is more noble than an apricot, since clearly, one must rank higher. Medieval literature is chock full of such debates: Who ranks higher, king or pope? But we still have these arguments, all over the place. Becoming aware of this persistent trope in our culture turned the lights on: We are still suffering from this idea, and it is all around us, unexamined. 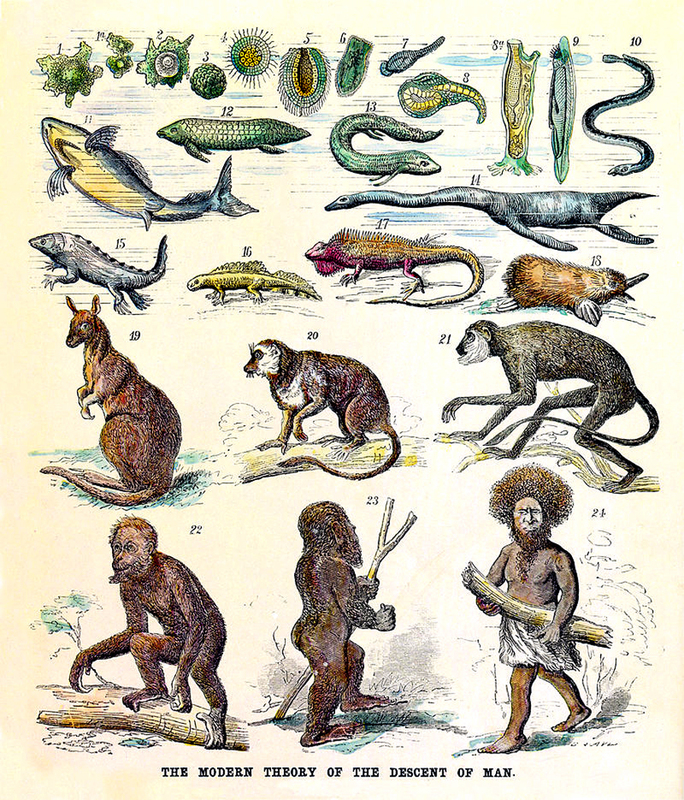 Tillyard made me see and examine it: Every time someone talks about something being “higher on the evolutionary ladder,” one must counter that such an idea is a misunderstanding of Darwin. But that misunderstanding drives so much policy and inflames so much political rhetoric. Tillyard made me re-examine many of the axioms and assumptions of our culture in a way more direct and concrete — and easier to understand — than all the horse-hair stuffing of the French Post-structuralist philosophers and deconstructionists. Finally, from class, and by no means least, I came to love Geoffrey Chaucer. I have become a fair reciter of Middle English, with a credible accent. 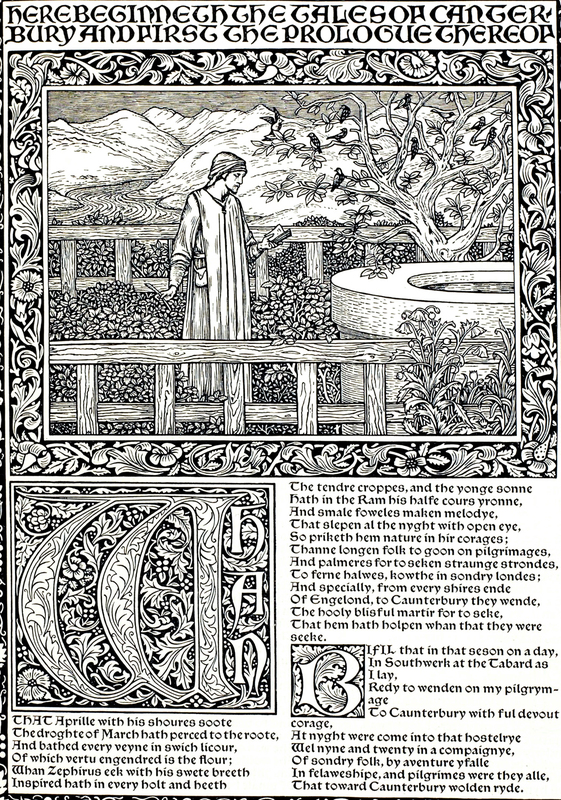 And I found that reading Chaucer out loud enhances his comprehensibility. It become very like getting used to a thick Scottish burr or the sing-song of English spoken in the Indian subcontinent. When you get used to it, it disappears. Outside of some arcane vocabulary, Chaucer’s language isn’t all that difficult. What is more, the poetry itself is overwhelming, whether it is the Wife of Bath’s prologue or the short poem, Trouthe, the language is as delicious as can be found in our mother tongue. My wife periodically asks me to recite the general prologue to the Canterbury Tales, which I have fairly well committed to memory, and I can’t think of a greater or more pleasurable chunk of poetry in the English language.